A group of lawmakers led by Sen. Elizabeth Warren, D-Mass., and Rep. Jared Polis, D-Colo., sent a letter to President Trump on Wednesday urging him to restore Obama-era guidelines that allowed states to determine their own marijuana laws. Earlier this month, Attorney General Jeff Sessions rescinded the Cole Memorandum, a 2013 directive from the Obama administration that directed U.S. attorneys to place a “low priority” on enforcing federal marijuana laws in states that have legalized pot. To date, nine states (Alaska, California, Colorado, Maine, Massachusetts, Nevada, Oregon, Vermont and Washington) and the District of Columbia have passed laws allowing for the recreational use of marijuana. Dozens more have passed laws legalizing it for medicinal use. Sessions’ decision to rescind the guidelines, the lawmakers said, “will have a chilling effect” in those states. “This action by the Department of Justice has the potential to unravel efforts to build sensible drug policies that encourage economic development as we finally move away from antiquated practices that have hurt disadvantaged communities,” reads the two-page letter, which was signed by 54 members of Congress, 51 of them Democrats. Three Republicans — Alaska Rep. Don Young, California Rep. Dana Rohrabacher and Florida Rep. Matt Gaetz — signed it, too. 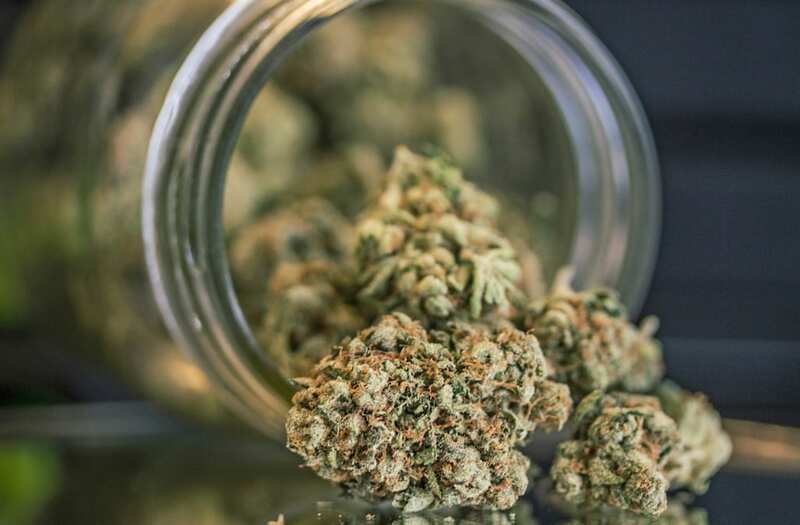 In October, a Gallup survey found 64 percent of Americans believe marijuana use should be legal — the highest level of public support for the proposal in nearly a half-century. Polis and Sen. Cory Gardner, R-Colo., who threatened to block all nominees to Justice Department posts in response to Sessions’ decision, sent a similar letter to Trump on Jan. 4, the day Sessions rescinded the Cole Memo. “I’m prepared to hold every Justice Department nominee until Jeff Sessions lives up to what he told me, lives up to his commitment,” Gardner tweeted the same day. I am prepared to take all steps necessary, including holding DOJ nominees, until the Attorney General lives up to the commitment he made to me prior to his confirmation. In an interview with Yahoo News, the Colorado Republican said that, prior to his confirmation as attorney general, Sessions had assured him the Trump administration would not harsh on the state-driven push toward legalization. A subsequent meeting with Sessions did nothing to assuage Gardner’s concerns. Last March, a bipartisan group of senators, including Warren and Lisa Murkowski, R-Alaska, asked the Justice Department to uphold the Obama-era policy allowing individual states to determine their own pot laws after then-White House press secretary Sean Spicer suggested that the Trump administration may press for “greater enforcement” of federal pot laws. Cannabis has been found to help slow tremors and pain in Parkinson's patients. According to Medical News Today, the compounds in marijuana help to "reduce the effects of reduced dopamine in the brain". A study conducted by Israeli scientists found smoking marijuana helped reduce these tremors. "We not only saw improvement in tremor in these patients, but also in rigidity and in bradykinesia," said researcher Ruth Djaldetti. Furthermore, marijuana has been found to slow the progression of Parkinson's because of its antioxidant qualities. The American Academy of Ophthalmology describes glaucoma as a condition in which the optic nerve is damaged over long periods of time. It can limit vision and sometimes lead to blindness. The link between glaucoma and marijuana has been studied since the 1970s, as smoking marijuana has been found to lower eye pressure. Doctors are working on ways to elongate the effects of marijuana. It has been speculated that smoking the drug can slow the progression of the disease. There has been extensive research on the benefits of cannabis and chemotherapy patients. The "wonder drug", as it is hailed, does miracles for cancer patients. The American Cancer Society claims that the drug can also lower pain, reduce inflammation and calm anxieties of not just chemo patients, but patients suffering from a chronic illness or disease. Scientists have found that cannabinoids, one of the many chemical compounds found in the plant, can inhibit tumor growth. It was particularly effective in the inhibition of colon cancer. According to an article published by CNN Health, marijuana may be beneficial for Alzheimer's patients. It was found that THC, an ingredient in cannabis, blocks inflammation in the brain and "stimulates the removal of toxic plaque". Marijuana has also been used to help dementia patients. Author and doctor David Casarett told CNN, "I spoke to many family members of people with mild or moderate dementia who believed that THC or whole-plant marijuana was effective in alleviating the confusion and agitation that sometimes occurs." It is widely known that marijuana possesses antiinflammatory benefits, helpful to patients who suffer from arthritis and cancer, amongst many others. A study published by the University of Colorado found that using the drug topically can alleviate pain and "may be effective against eczema, psoriasis, atopic and contact dermatitis. More and more dermatologists are encouraging the use of cannabinoid cream. Cannabis and stroke victims is an interesting topic of study for many researchers, some of whom contend the drug can "shrink" the damaged area of the brain. Doctors, who tested the drug on mice, rats and monkeys, believe the chemical "shows promise as a neuroprotective treatment for stroke”, according to the Huffington Post. Advocates have argued that marijuana can provide immense relief for patients, specifically veterans, who suffer from PTSD. In states like New Mexico, "medical marijuana is legally prescribed for PTSD". A study conducted by the University of Haifa fond that marijuana helped block the "development" and progression of PTSD in rats. But, researchers explain, that there is a critical window of what marijuana can do.